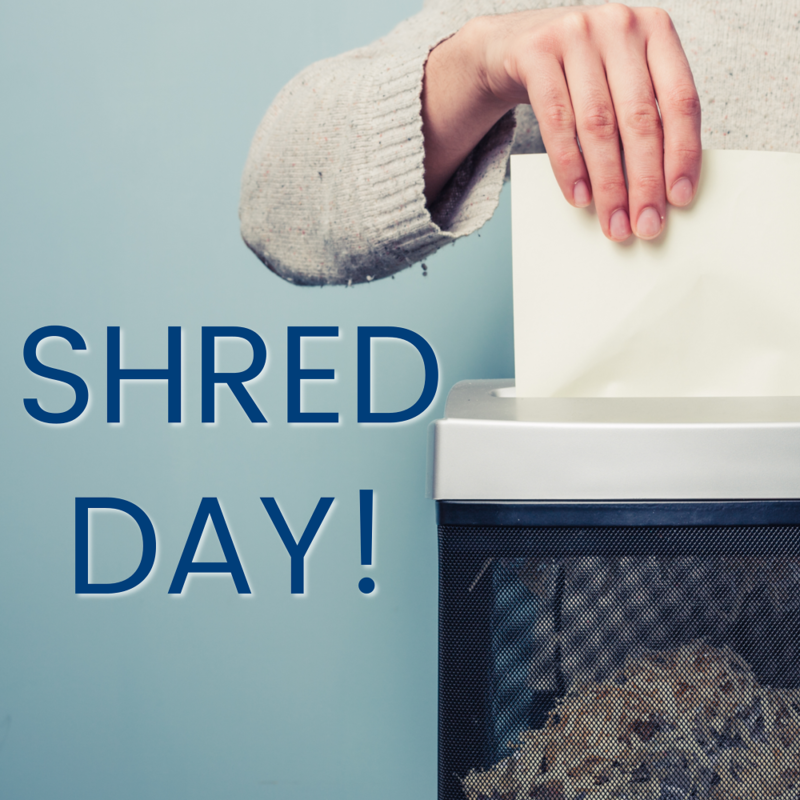 Earth Day is Shred Day! Celebrate Earth Day with us! We are partnering with Confidential Data Disposal for our 6th year; providing you with a safe, eco-friendly way to reduce your paper trail and help prevent identity theft. This Saturday, April 22nd from 10AM to 2PM. Bring your sensitive documents to be professionally destroyed on-site. Limit 20 file boxes per visitor. **This is a shredding-only event. Only paper will be accepted—no electronics or recyclables.